Options/Size: Expedition Journal / 4.6 x 7"
Expedition Journal / 4.6 x 7"
Pocket Notebook / 3 x 5"
Pocket Notebook /3 x 5"
Spiral Bound Journal / 4.6 x 7"
Spiral Notebook / 4.6 x 7"
Underwater Use / 3 x 5"
The All-Weather Expedition Journal from Rite in The Rain is a 4.6 x 7" journal with yellow Field-Flex cover. 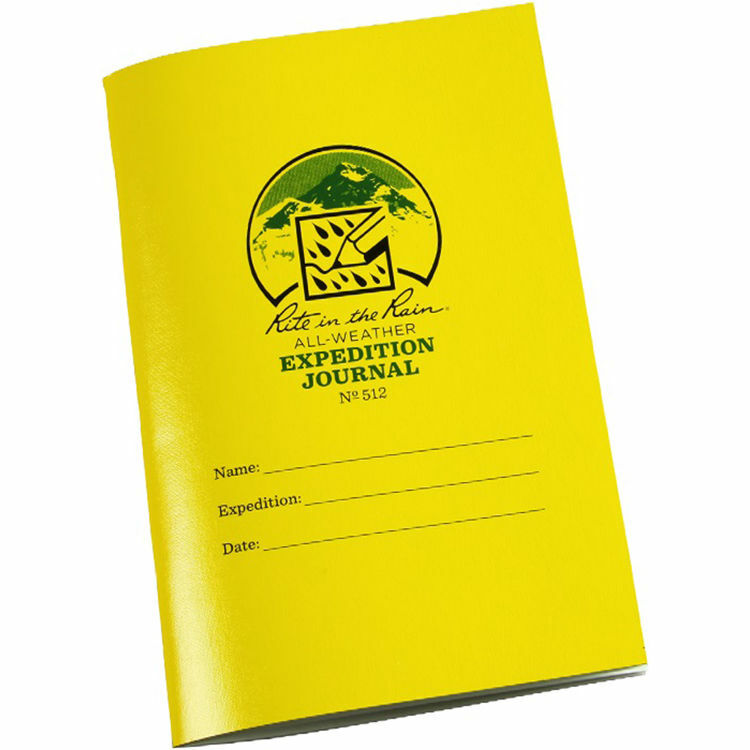 The journal features 48 pages with climbing tables, emergency procedures, and plenty of room for notes. Box Dimensions (LxWxH) 7.0 x 4.5 x 0.6"